Jardin de Majorelle or the Majorelle Garden is a secluded oasis in the middle of Marrakech. This is a place to visit if you want to relax from the busy streets in Gueliz, the modern part of the city and the commotion found in the narrow streets of the Medina. 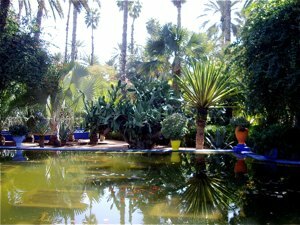 The garden is named after its designer the expatriate French artist Jacques Majorelle (1886-1962) that created it in 1924. The vegetation stands in contrast to pottery, and decorated walls in striking colours, like those appearing many places throughout North Africa. The most striking is the bold cobalt blue which he used extensively in the garden and its buildings is named after him, bleu Majorelle. The garden opened to the public in 1947 and it has been owned by Yves Saint-Laurent and Pierre Bergé from 1980. 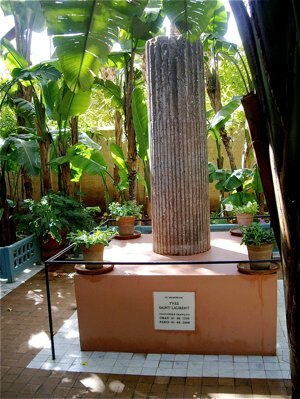 Yves Saint Laurent's ashes were scattered in the Majorelle Garden when he died in 2008. 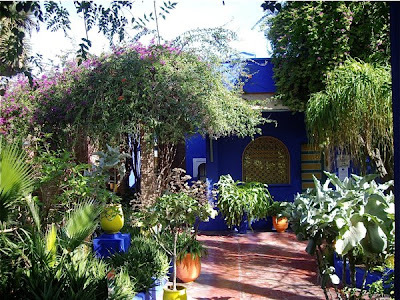 The Islamic Art Museum of Marrakech is found at Jardin Majorelle. It includes North African textiles from Saint-Laurent's personal collection as well as ceramics, jewelry, and paintings by Majorelle. 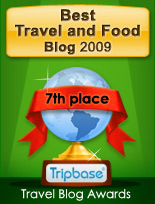 The garden also is the home of more than 15 bird species, which can be found only in the area of North Africa. When entering the garden you find yourself in a forest of tall bamboo, creating a mysterious illusion of being not in Morocco, but further east as in China or Japan. 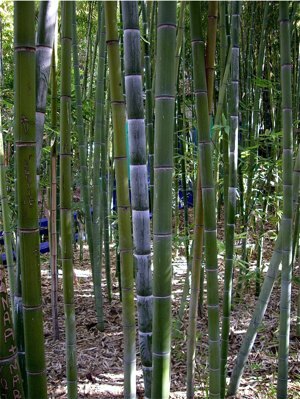 Bamboo are tall, thick grass that provides shade from the harsh North African sun by the gateway into the garden. The strong blue colour is reflected mysteriously in the tall bamboo trunks. We passed on our way a beautiful blue gray palm. 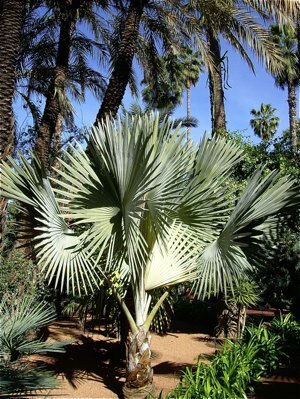 It is the Bismarckia Nobilis a palm tree endemic to western and northern Madagascar where they are found in open grassland. 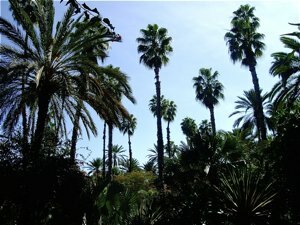 And towering over the garden you see tall Washingtonia and Phoenix Dactylifera, the native date palm. The date palm is widely cultivated in North Africa, whereas the Washingtonia Palm is native to South Eastern United States. Here you find large cactii, as well as old yucca plants and agave. These are, strangely enough native to North America rather than North Africa. Visiting the Majorelle Gardens is a welcome getaway when (or if) you get tired of the commotion of the Medina and need a retreat for a few hours. It is wonderful place to walk around, and you get a good meal here as well, as we did under the shade of the tall palm trees.